Given how widespread acne is in today's society, it isn't surprising that acne treatment is a billion dollar industry for Big Pharma. However, most commercial acne creams are packed with unnatural and aggressive chemicals, making them an unacceptable choice for health-minded individuals. Fortunately, two foods found in nature -- aloe vera and coconut oil -- are proven to treat acne effectively and without side effects. To use aloe vera for acne, simply apply some aloe vera gel onto the affected area daily. The gel will improve the swelling, redness and inflammation associated with acne, and also prevent future outbreaks. These results, which were published in the journal Biomaterials, suggest that the topical application of coconut oil can treat acne effectively. 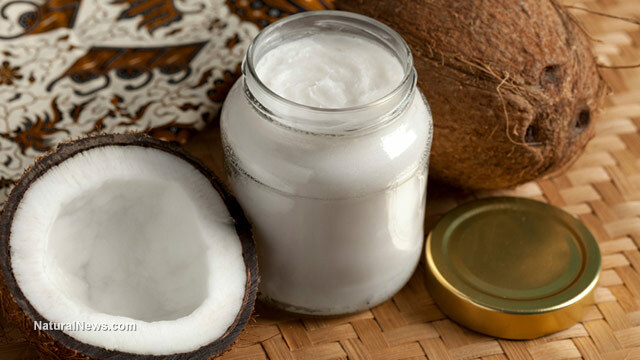 For maximum benefits, choose raw coconut oil made that is organic, cold-pressed and extra virgin. This kind of oil will actually smell of coconut, signifying minimal processing.